Ever feel you have tasks coming out of your ears? Scattered across so many projects, and lost in individual queues? For a while, we’ve had people asking how they can see all their organization’s tasks in one place. It’s a challenging feature. How do you provide a way to quickly search and smoothly scroll through potentially tens of thousands of tasks on a single page? Our creative engineers jumped on the case and we’re very happy to announce the launch of our All Tasks page! Figure: Access all projects tasks on one page! This virtual hyper-scrolling page (yes really!) scales it’s scrollbar correctly for potentially 1000’s of tasks, and in one swipe you can quickly scroll anywhere within those tasks. We are careful just to download the data needed as tasks scroll onto the screen. And it works on mobiles too. Of course, we’ve left nothing out. 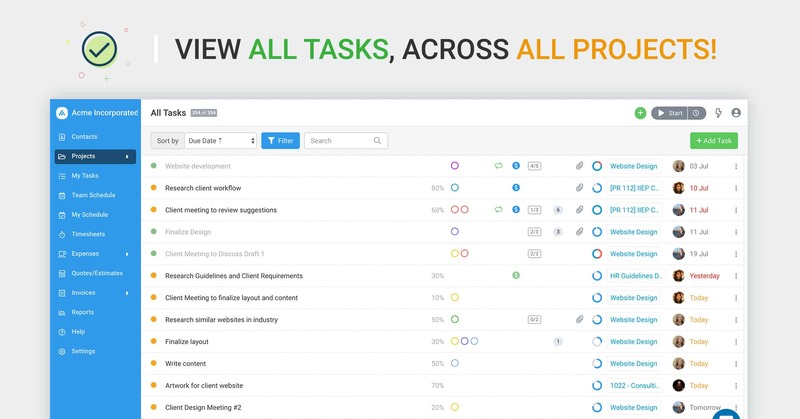 You can edit, search and filter tasks to quickly find any task you need across your organization. Are you able to have a list of all the Sub-tasks within a project?